There are hundreds of species of truffles. The fruiting body of some (mostly in the genus Tuber) are highly prized as a food: Brillat-Savarin called them "the diamond of the kitchen". Edible truffles are held in high esteem in Middle Eastern, French, Spanish, northern Italian and Greek cooking, as well as in international haute cuisine. The "white truffle" or "Alba madonna" (Tuber magnatum) comes from the Langhe and Montferrat areas of the Piedmont region in northern Italy and, most famously, in the countryside around the cities of Alba and Asti; in Italy it can also be found in Molise and in the hills around San Miniato, in Tuscany. It is also found in Croatia, on the Istria peninsula in the Motovun forest alongside Mirna river. Growing symbiotically with oak, hazel, poplar and beech and fruiting in autumn, they can reach 12 cm diameter and 500 g, though are usually much smaller. The flesh is pale cream or brown with white marbling. Italian white truffles are very highly esteemed and are the most valuable on the market: The white truffle market in Alba is busiest in the months of October and November when the Fiera del Tartufo (truffle fair) takes place. In 2001, the Tuber magnatum truffles sold for between 1000–2200 USD per pound (2000–4500 USD per kg); as of December 2009 they were being sold at 14,203.50 USD per kilogram. 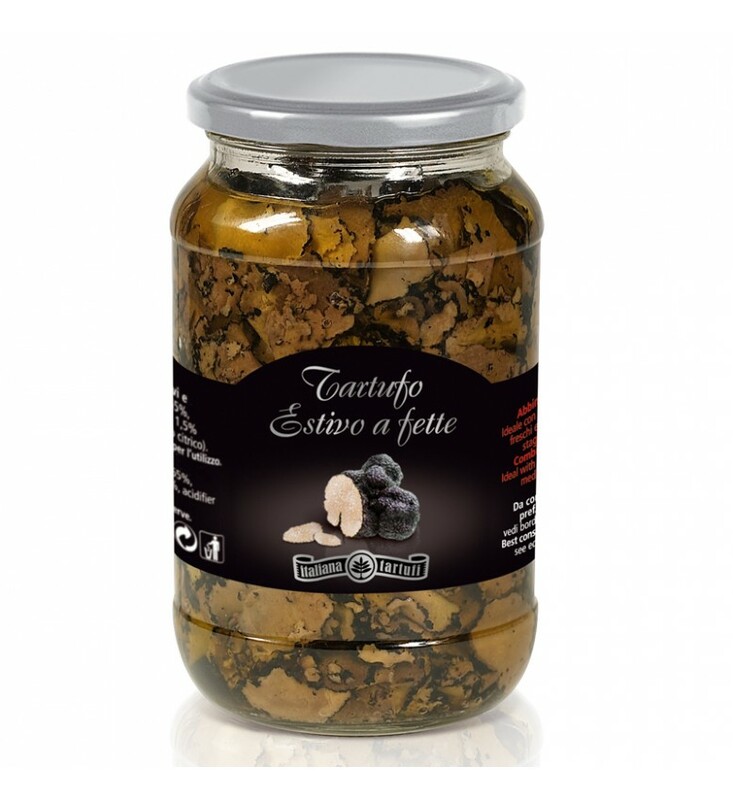 The "black truffle" or "black Périgord truffle" (Tuber melanosporum) is named after the Périgord region in France and grows with oak and hazelnut trees. Specimens can be found in late autumn and winter, reaching 7 cm in diameter and weighing up to 100 g. Production is almost exclusively European, with France accounting for 45%, Spain 35%, Italy 20%, and small amounts from Slovenia, Croatia and the Australian states of Tasmania and Western Australia. Production has considerably diminished in the past century, and is now around 20 metric tonnes (22 short tons) per year, with peaks at 46 metric tonnes (50 short tons) in the best years. About 80% of the French production comes from southeast France: upper Provence (départements of Vaucluse and Alpes-de-Haute-Provence), part of Dauphiné (département of Drôme), and part of Languedoc (département of Gard); 20% of the production comes from southwest France: Quercy (département of Lot) and Périgord. The largest truffle market in France (and probably also in the world) is at Richerenches in Vaucluse. The largest truffle market in southwest France is at Lalbenque in Quercy. These markets are busiest in the month of January, when the black truffles have their highest perfume. As of December 2009, black truffles were sold for about €1,000 per kilo in a farmer's market and €3,940 per kilo in a retail seller. The genome sequence of the Périgord black truffle was published in March 2010. The black summer or burgundy truffle (Tuber aestivum/uncinatum) is found across Europe and is prized for its culinary value. Two varieties are distinguished within this species: burgundy truffles, harvested in autumn until December, and summer truffles, harvested in summer, whose flesh is of paler color and whose aroma is less pronounced. Two lesser-used truffles include the "black truffle" (Tuber macrosporum) and the "Scorzone truffle" (Tuber aestivum). The term "truffle" has been applied to several other genera of similar underground fungi. The genera Terfezia and Tirmania of the family Terfeziaceae are known as the "desert truffles" of Africa and the Middle East. "Hart's truffle" is a name for Elaphomycetaceae. Pisolithus tinctorius, which was historically eaten in parts of Germany, is sometimes called "Bohemian truffle". White truffles are generally served raw, and shaved over steaming buttered pasta or salads or fried eggs (this last is recommended by many gourmets as the best way to enjoy the flavour). White or black paper-thin truffle slices may be inserted into meats, under the skins of roasted fowl, in foie gras preparations, in pâtés, or in stuffings. Some speciality cheeses contain truffles as well. The flavor of black truffles is far less pungent and more refined than that of white truffles. Its strong flavor is often described as syrupy sweet. While in the past chefs used to peel truffles, in modern times most restaurants brush the truffle carefully and shave it or dice it with the skin on so as to make the most of this valuable ingredient. A few restaurants, such as Philippe Rochat in Switzerland, still stamp out circular discs of truffle flesh and use the skins for sauces. Truffle oil is often used as a lower cost and convenient substitute for truffles, to provide flavoring or to enhance the flavor and aroma of truffles in cooking. Most "truffle oil," however, does not contain any truffles.The vast majority is olive oil which has been artificially flavoured using a synthetic agent such as 2,4-dithiapentane.